RIO DE JANEIRO, BRAZIL – The culinary festival Rio Gastronomia ends tomorrow, Sunday, August 26th, leaving only a few more chances to get out and sample the savory dishes at some of the best restaurants in the city. 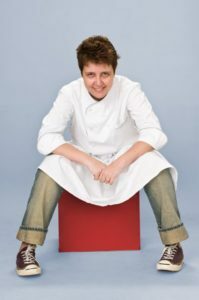 Roberta Sudbrack, voted best chef in Rio five times (including this year), former private chef of Brazilian president Fernando Henrique Cardoso, and owner of the internationally acclaimed restaurant that bears her name, recently talked with The Rio Times about Brazilian cuisine and changes in Rio’s culinary scene. One of Rio’s top chefs, Roberta Sudbrack, photo by RS. How would describe the philosophy of your kitchen? Modern Brazilian Cuisine. Our purpose is to serve the best every day. I’m always waiting for what nature has to present me daily, and I get the best and freshest on the day to create my daily menu. Our cuisine follows the seasons in a modern way and exalts the flavors of Brazilian ingredients. We propose a pause and also an alliance between innovation and tradition. That’s why we do not consider the Roberta Sudbrack a restaurant in the typical sense of the word – as a place where they sell food and drink – but as a place to live unique experiences of taste. Where do you find inspiration for the work you do? In my daily life. As my work is based on observation, every single thing can be an inspiration source for me. When my soul is touched by something extraordinary and simple… bang… that’s it! Why is Rio Gastronomia such an important event in Rio? I see a very significant movement of Brazilian cuisine today and every event that seeks to share the exceptional work that chefs have done here is very welcome. Rio Gastronomia does it with great competence and has sought, in the various editions, put the food where it belongs: aside some of other important artistic expressions, such as cinema and literature. What is particularly special about Brazilian cuisine? Our cultural richness… so many stories, so much history, behind each ingredient. The diversity and the high quality of these ingredients. The intensity of our fresh flavors. Our seas and our fishermen. Our land–so much land–and those who love so much working on it. The courage and creativity of our people. Our people. How is the culinary scene in Rio changing? We are in the middle of significant movement here. There is a many chefs in Rio doing a great job. For the first time in years, we have a restaurant on a very important world list [Roberta Sudbrack was recently recognized as one of the top 100 restaurants in the world by Restaurant magazine] and it´s an important thing to our gastronomic scene. It makes me proud, not only for me – because my restaurant and my job here was recognized – but most important because it was great for Rio. This draws attention to us, so we can show what we are capable of, so much hard and serious work we are doing here.